Interesting fact about the business: Offers domestic EZ Peel, and one of the 1st processors to offer cooked domestic shrimp. Very retail oriented. 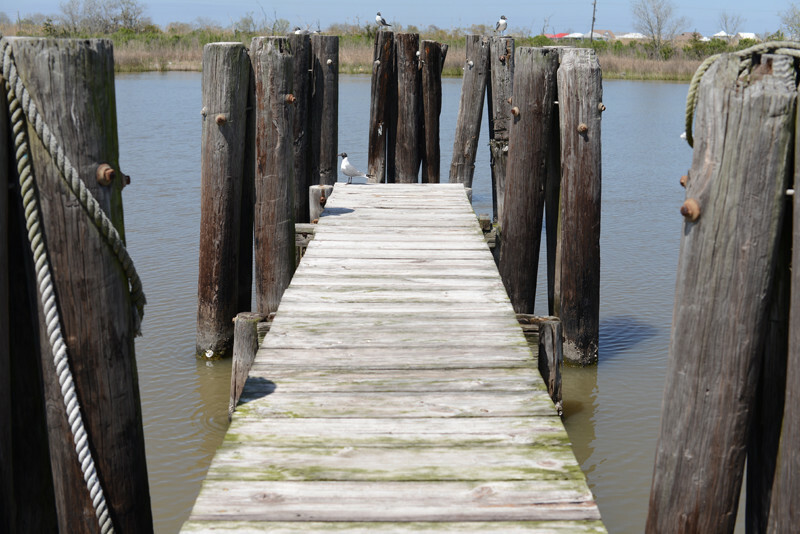 Gulf Island Shrimp in Dulac, Louisiana, is comprised of two plants — Scottco and SeaTang — located right across the bayou from each other in Terrebone Parish. In the shrimp industry, many processors come from a multi-generation, hands-on background, but that isn’t the case for Gulf Island. Although not a family-owned operation, that has never hindered their reputation for a quality product. Why? Simple. It’s because of the people in the plants who are committed to a standard of excellence. The quality of product exists because of the character of its workers. The success of Gulf Island is due to the long-term employees who stem from a rich lineage embedded in the foundation of this seafood town and others — a special blend of people that faithfully and proudly bring their piece of heritage to work every day. The industry-laced resumés from just a handful of the key employees strengthen the company cornerstone with more than 300 years of experience. One of Ricardo’s employees is Antoine “Poncho” Billiot a vibrant 81-year-old man, who is considered a master artisan when it comes to his knowledge and precise understanding of how to operate shrimp peeling machines. After all, he’s been in the industry for nearly 75 years. Perhaps some of the most unique employees at Gulf Island are the Pallagrin sisters: Mary, 62, runs the grader and handles packing; Annie, 65, works the scales; and Doris, 75, handles quality control. These ladies are full of life, full of gumption, and full of stories that will make you laugh for hours. Mary and Annie have been at the plant for 43 years and started with a minimum wage of $1.65 an hour. Their Cajun French accent is distinct and they can still speak the language fluently. They also are single, have no children, and all still live together in the family home they grew up in, which is only a mile down the road from the SeaTang plant. With a family of 11 siblings, it wasn’t uncommon to start working at an early age, whether that was “popping” shrimp heads at a local plant, or helping out at the family grocery store, which Doris ran for 39 years before joining her sisters at Gulf Island. David says the Pallagrins “are as dependable as the sunrise.” He is proud of all his employees at both plants — a combined lineage of seafood history with enough wisdom, knowledge and insight to fill novel after novel of shrimp tales. For Mark Abraham and Larry Avery, managing partners of Gulf Island Shrimp & Seafood, the parent company of the processing operation, the employees were a significant selling point when they decided to venture into the shrimp business and buy the two plants: Scottco in 1999 and SeaTang in 2000. The names of the plants are in honor of the original owners who were born and raised in Dulac. Prior to acquiring the processing plants, Mark and Larry operated a successful Cajun food company, and by 2005, they had merged the processing and food entities to form Gulf Island Shrimp & Seafood. For a business that specializes in marketing Cajun food products, two shrimp processing plants could only benefit the value added sector of the company, which is marketed under the brand Big Easy Foods of Louisiana. The company has corporate offices and a USDA manufacturing plant in Lake Charles, Louisiana. The list of products in the company’s value added line is extensive. In addition to southern staples like red beans and rice, jambalaya and “TurDucHens” — a deboned chicken stuffed into a deboned duck, which is then stuffed into a deboned turkey — specialty shrimp products include shrimp Creole, shrimp etoufee and shrimp gumbo. Big Easy Foods not only gives national consumers a taste of Cajun cuisine, it also enables customers to buy wild caught domestic shrimp in 1- to 5-pound retail bags thanks to the state-of-the-art Individually Quick Freeze system set up at SeaTang, an SQF-certified plant. Currently, only IQF raw shrimp are available, but this year, the company also will be offering IQF cooked shrimp through a “cool steam” cooker and a “waterfall” chiller — a new piece of cutting-edge equipment that will serve as the first prototype ever to be installed in a processing plant. Aside from the standard country of origin label on all packaging, one unique attribute that will be added to retail bags this year is a QR code, a traceability measure that tells consumers where their shrimp came from. Customers can scan the code with their smartphone and it will show where the shrimp were caught, processed, and how they got to the store — a lifeline of where it started and where it ended. This system ensures customers are receiving a quality product. Gulf Island not only buys from the fishermen at their plant dock, but also at docks from Florida through South Texas so the freshest, highest quality brown and white shrimp are processed. Mark says the company’s strengths reside in its strong national sales team and innovative thinking that always looks for ways to add new products to the market. So, has Dulac been a good fit for Mark and Larry?